To achieve the above one needs to take a more scientific approach when determining which product to choose for a marketing or promotional campaign. When running a premium campaign aimed at premium customers, such as high spending or high net worth individuals, it important to utilise promotional items that are more likely to impress the recipient. If you are promoting a luxury car for example you are unlikely to give a cheap pen or corporate gift. You would be likely to give a premium gift which reflects upon the product you are trying to promote. To this end it is important to really consider the best match promotional gift for your intended audience. Premium pens are a great way to promote a premium product. Premium pens are always a well received gift and are just the promotional pen for any upscale promotion. There are a number of pen options available. From your über expensive Waterman Pens. Waterman pens are a classic pen which are known for there luxurious qualities. 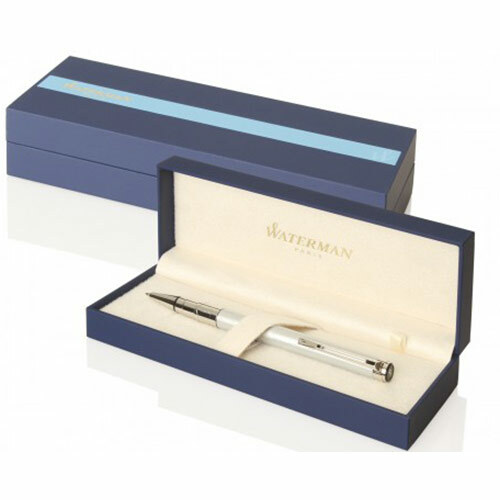 Not everyone can afford a Waterman pen so when you give one to a valued customer they will know they are special. If you are looking for something more affordable and word renown then you might want to consider a Parker Pens. Parker pens have been a staple of premium gifts for decade. If you want to give someone a special gift or to commemorate a special moment that you will find yourself in good company with the Parker Pen. As well as being a beautiful pen, they can come in a gift box and elegantly engrave with a special message or your logo. If you are looking for something inexpensive but still with reputation then you could even consider a BIC Pen. BIC pens were a marvel when they came out in the mid 1950’s. Having been invested in France they have always had an air of superiority. Bic Pens are well recognise the world over for being good quality, practical writing instrument which will stand the test of time. Whatever your promotion, if you are looking a running a premium marketing campaign then you can look past Premium Promotional Pens.